You would expect procurement organizations to be further along the path to inclusion than other functions. But a recent survey I helped conduct for my firm, Oliver Wyman, suggests that’s not necessarily the case. The study (available here) looked at gender parity – just one element of diversity, but a significant one. More than 300 chief procurement officers at American, European and Asian companies responded. 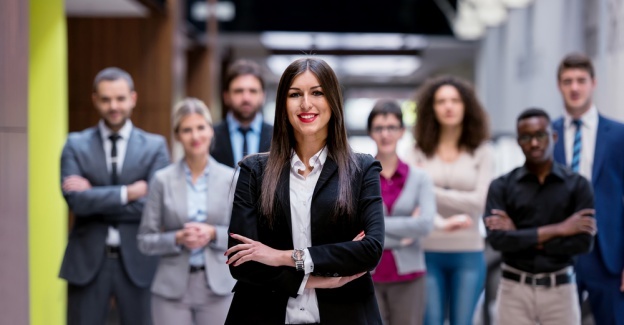 Their answers tell us that 38 percent of the procurement workforce is female (comparable to the 35 percent figure our sister company Mercer found in a similar survey of the overall workforce). There were, predictably, big variations by industry and geography, with aeronautics and construction employing fewer women and financial and public institutions employing more, and Asia lagging far behind the U.S. and Europe. An incremental issue is that across the board women make up a smaller percentage of the upper ranks, filling only 25 percent of procurement management roles. But change is coming. Sixty percent of the CPOs in the survey said they employed more women than they did three years ago, and they were happy with the results. CPOs of organizations where women made up 40 percent or more of the procurement function were more likely to report positive economic performance than those that employed 20 percent or fewer women. And the 65 percent of CPOs who said they had increased the number of women in their teams said that performance had improved: with creativity and innovation driving new partnerships and greater efficiency. Those findings were no surprise to me. I’ve been living them for the past 15 years. I do a great deal of work with private equity (PE) firms. You know the drill: A PE buys a business, concludes that its cost structure is out of line and brings us in to improve processes and boost performance. I lead the team that works with the procurement departments. It’s rarely an easy experience. The existing procurement team is under stress, vendors are confused and apprehensive and my own team is under immense pressure to deliver results and do so quickly. It’s a challenge all around. You might expect that the way for me to succeed here would be to pack my team with big guns – aggressive, confident dudes who exude authority. Don’t get me wrong. Those folks are great, and I’m careful to include them in the mix when I’m pulling together a project team. But if they make up the whole team, they can inadvertently send the message that we’re coming in armed with a set of stock answers and don’t intend to listen to what the existing team and vendors have to say. And that’s a guaranteed disaster. Look, I’m good at my job, and I’m sure you’re good at yours. But we have to accept that, no matter how much we know and how smart we are, when things get tough (and they’re getting tougher all the time) we’re going to need more – more insight, more knowledge, more perspectives and more ideas. We always talk about being on the same page, and of course coordination is vital. But to really address complex problems, you need people to be reading from a whole bunch of pages and you have to pay attention to what they’re finding there. That means you need diversity of skills, background, experience and mindset. You need people who deeply understand the standard approach to a given task, and you need people who will look at that same approach and ask why it’s not something different. Above all, you need people who can connect with your whole array of stakeholders, internal and external, to understand what they need and what they know, and to get them to buy in when you come up with a strategy. The results can be surprising. I remember a project during which one of the youngest, least-experienced members of my team – Emilie Tremblay, a consultant from our Montreal office – took a leading role. She was a brilliant connector who combined solid traditional research with extraordinary “people research” to come up with some unexpected opportunities for us. We didn’t know it when we added her to the team, but without her we would have had a blind spot. Today, when I think about diversity, I think about dozens of instances like that. It’s not that I am indifferent to social justice and fairness. I care deeply about both. But I’ve realized that I do a better job for both fairness and the effectiveness of my team when I stay up nights worrying about what my team is missing and what individual people – not just categories of people – can bring me. I know I don’t have all the answers. But I know I can have the answers if I can just create a team that goes beyond what I myself know how to contribute. You don’t create that kind of team with a check-the-box approach to diversity and you can’t hire yourself a solution. Of course, you should aim to have a diverse and balanced team. But as you go through the process of hiring and reshaping it, remember that the people you hire aren’t tokens in a game. They are not just about scoring diversity points. You need to open your mind (and, yes, your heart) to who your team members are and what they bring to the table. You need to develop, coach and sponsor them until they can take your team to places you may not currently expect or understand. Sound complicated? Here’s a way to start. You’re probably already mentoring junior people who work with you. Take it further. Become a sponsor, not just dispensing advice but providing access to the kind of experience that grows careers. Then go one step further: Make sure your protégés include a few people utterly unlike you. (We all tend to favor junior versions of ourselves.) And –the hardest part – don’t try to turn them into you. Help them become something beyond your wildest expectations. Karina is a Partner in Oliver Wyman’s Operations Practice. With 14 years of consulting and investment banking experience, she specializes is in value sourcing, supply chain, operational improvements, capital deployment, due diligence and post-merger integration. She has worked across the globe for Private Equity firms, oil majors, airlines, manufactures, distributors, government agencies and non for profits. Previously, Karina was at Macquarie Capital focused on advisory and principal transactions in New York. Karina holds a B.S.E from the Wharton School at the University of Pennsylvania. For fun, you will find Karina playing with her adorable 9 month old, Madelyn, scuba diving, and snowboarding.